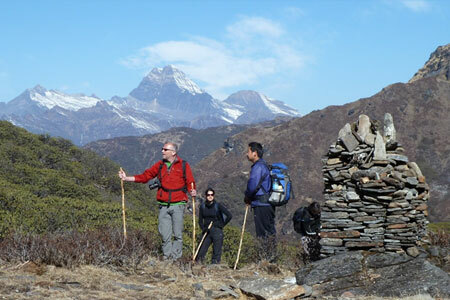 Druk Path TrekThe Druk Path Trek is one of the most frequented treks. 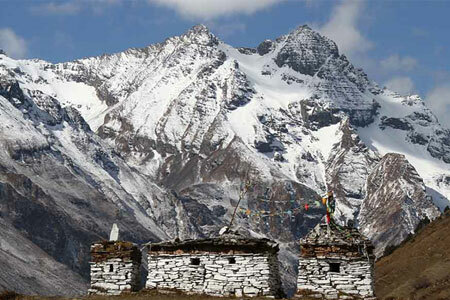 It is a fairly short yet exhilarating trek that is both challenging and rewarding. 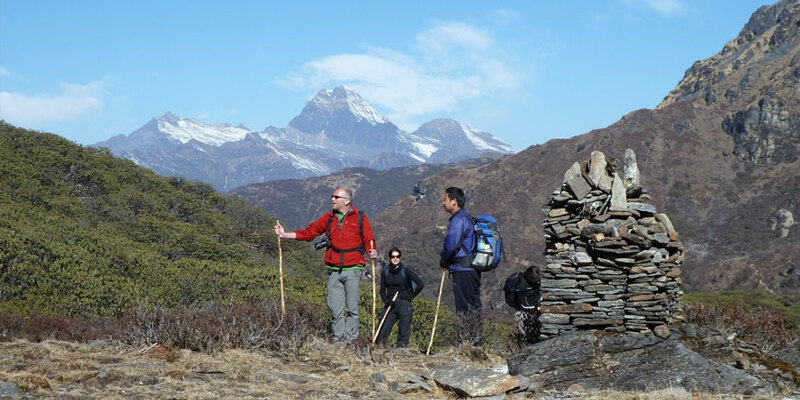 The views, like most other treks in Bhutan, are fascinating and exhilarate ones senses, owing to the incredible beauty and majesty of the Himalayas. Day 01: Your arrival at Paro Airport by Druk Air. See flight details. Sightseeing Paro and Overnight at hotel. Day 02: Paro - Jele Dzong. Overnight at tented camp. Distance 6 - 7 km. Day 03: Jele Dzong - Jangchulakha. Overnight at tented camp. Distance 10 km. Day 04: Jangchulakha - Jimilangtso. Overnight at tented camp. Distance 11 km. Day 05: Jimilangtso - Simkota. Overnight at tented camp. Distance 11 km. Day 06: Simkota - Phajoding. Overnight at tented camp. Distance 10 km. Day 07: Phajoding - Thimpu. Ovenight at hotel. Day 08: Thimpu Sightseeing and drive to Paro. Overnight at hotel. Day 09: Flight to your onward destination. All meals, tea and snacks (Full board meal). All airport pickups and drops in Kathmandu and Paro. Ground transport in comfortable private vehicle. Experienced English speaking guides and local staff.